Creating a consistent experience is much more than a hot topic—it is key to boosting customer satisfaction and building trust, according to a McKinsey & Company study, which included 27,000 consumers across 14 industries (“The Three Cs of Customer Satisfaction: Consistency, Consistency, Consistency,” March 2014). The means to delivering consistent customer experiences will vary by company, but the foundation for achieving this is a consistent Quality Management (QM) program. Here is a breakdown of key steps to set up your program for success. For organizations leveraging technology that includes call recording, whether it is workforce optimization (WFO) or stand-alone call recording software, recording 100% of calls is achievable. For those that are not capturing 100% of calls, note that specifying the number of calls to record also dictates how much data will be available to help identify trends and perform evaluations. When setting a quantity or percentage of calls to evaluate, choosing the right amount can be like rolling the dice. However, quantity should not be the only consideration. A sample size that is too small will paint an incomplete picture of agent performance, but it is a better alternative than not evaluating calls at all. Random call selection can also be ineffective, as problematic calls can go unnoticed. One way to stay focused and choose the right calls for evaluation is to use a Speech Analytics solution to quickly identify calls that require evaluation. Ultimately, an optimal combination of recorded and evaluated calls must be attained consistently to provide the right data to assess a contact center’s impact on the business. While every step in the quality process should be traced back to business goals, the Quality Standards Definition Document (QSDD) is most crucial because of its role as the foundation of a QM program. The document states what agents should be evaluated on, describes QM program procedures and outlines behaviors to observe. Creating a QSDD with goals in mind will help identify positive and negative behaviors to observe when evaluating calls. For example, if customer retention is a top business goal, the QSDD should require evaluators to focus on calls where cancellations are discussed. To maintain the viability of the QSDD, internal stakeholders must continually update the document to ensure it remains relevant to current business objectives and agents understand and accept how their performance is being evaluated. Agents are more likely to buy into the QSDD when it is presented in a transparent manner and they are able to see how their behaviors impact business goals. Evaluation forms should also be built to support business objectives and the best way to do this is to start with the QSDD. Basing evaluation forms on the QSDD not only maintains consistency, it adds context and continuity to the QM program. Calibration is the method of standardizing evaluation processes. Essentially, the aim of calibration is to have all evaluators score calls in a uniform manner. In an ideal scenario where calibration has been carried out effectively, four evaluators would provide the same score when listening to the same call. The key to effective calibration is to maintain the process and hold sessions consistently. Through regular sessions, it becomes apparent if adjustments are needed on the agent side or among evaluators themselves. The overarching theme to QM should focus on providing a customer experience that serves the dual role of pleasing customers and accomplishing business goals. 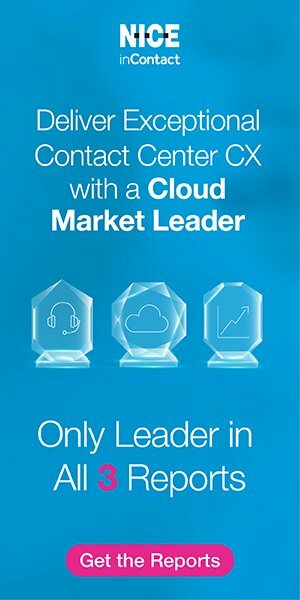 When taken together, each of the individual tactics discussed here contributes to a QM program that enables contact centers to identify, articulate and act on discrepancies between customer interactions desired by the company and those that actually occur.